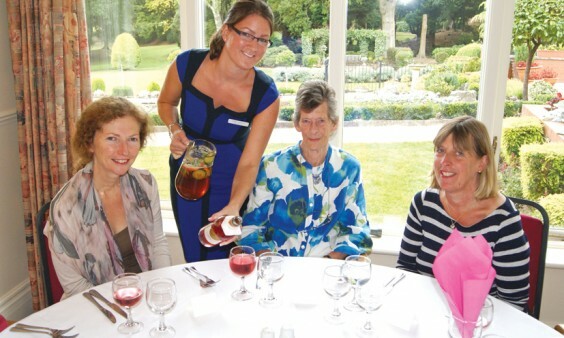 Burcot Grange residential care home invited daughters, daughters-in-law, nieces and friends of its female residents to join them for a special luncheon. After catching up over a glass of Pimm’s, everyone enjoyed a three-course lunch of smoked salmon and cream cheese, breast of chicken wrapped in Parma ham, and Eton Mess. Above: Penny Gillett with daughter-in-law Julia Gillett (far left), daughter Gill Marriott (far right), and home manager Victoria Osborne.